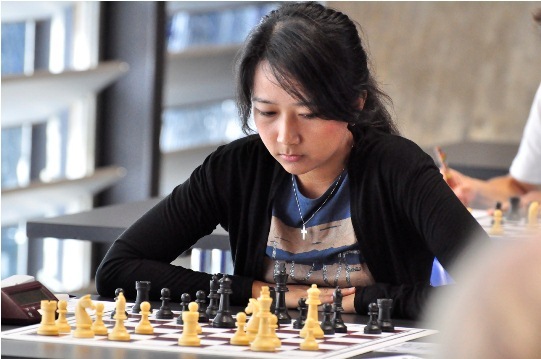 WGM Irine Kharisma Sukandar of Indonesia and GM Yu Yangyi of China are the winners of the 13th Asian Continental Individual Open and Women’s Chess Championships that concluded today in Sharjah, United Arab Emirates. Irine Kharisma Sukandar had an impressive run in the tournament to secure the title with one round to spare, not worrying about the last round defeat to Tan Zhongyi. This is the second continental title for Sukandar, as she was also the champion in 2012. She qualifies for the 2015 Women’s World Championship. Former Asian champion WGM Atousa Pourkashiyan of Iran won the silver medal, while WGM Tan Zhongyi from China took the bronze. In the Open section top four games were drawn, which was sufficient for GM Yu Yangyi to keep the first place and claim the gold medal with 7,0/9 points. There followed four players on the shared second place with 6,5 points each. After breaking the tie, GM Adhiban B of India is awarded with the silver medal and former Asian champion GM Ni Hua of China got the bronze. The top five players from the 2014 Asian Open Championship qualify for the 2015 World Cup. 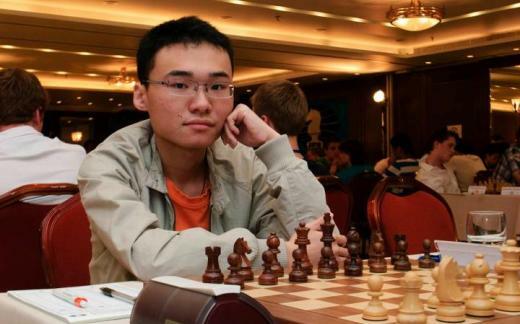 Since Yu Yangyi already qualified as reigning World Junior Champion, the next five in line are Adhiban B, Ni Hua, Kasimdzhanov Rustam (Uzbekistan), Wen Yang (China) and local star Salem A.R. Saleh (UAE).